Fundraiser by Oliver Nelson : Send Oli to St. Louis! Send Oli to St. Louis! We need to raise $39000 to get life changing surgery for Oliver in St Louis. Oliver has been accepted for the SDR surgery at the St. Louis Children’s Hospital in Missouri. In his letter the surgeon wrote: “…we expect the following improvements: His spasticity will be permanently reduced, his sitting and standing postures will improve, his transitions between postures will be easier and faster, his balance and level of comfort will both improve. We feel that Oliver has a chance to walk independently indoors and some distances outdoors, but he will need a device for long distances and the community….We strongly recommend that he have the rhizotomy surgery.” Needless to say we liked the sound of all that!!! 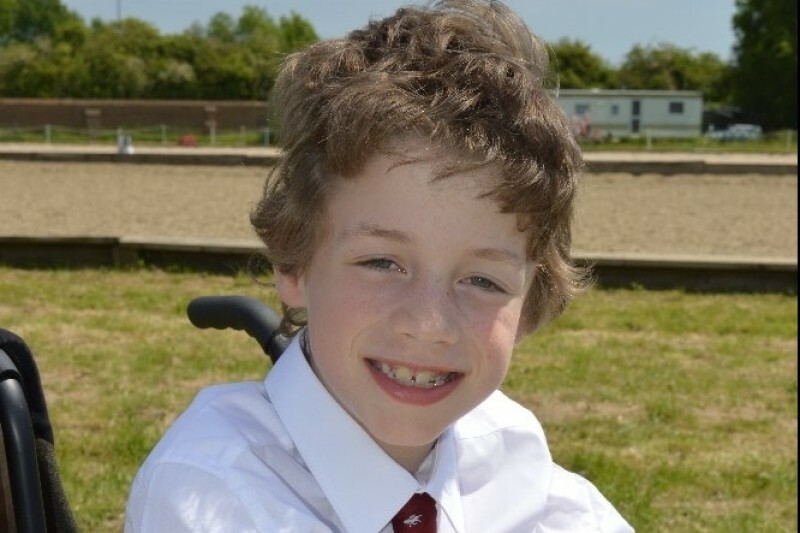 The surgeon would open Oliver’s spinal cord and cut the sensory nerves that are sending signals to make his leg muscles abnormally tight (which is caused by his Cerebral Palsy). After the surgery he will need intensive physical therapy for at least six months to strengthen his legs and re-learn how to use them. At the moment Oliver uses a walking frame to walk indoors (or crawls) and almost always uses his wheelchair when he leaves the house. His dream is to walk on his own. If after the surgery and months of physio he could just walk across a room that would be completely life changing for him. Just being able to go into the kitchen and get a drink on his own, or get to the toilet completely on his own is a dream for him. Unfortunately the cost of it all is more than we can manage on our own. Besides from the cost of the surgery ($39,000), there is travel and accommodation costs for one month for St. Louis, physio for six months (at least $9000), equipment needed for physio at home and travel and accommodation costs for going to intensive physio in Bedfordshire for a few weeks. If we can raise at least $39,000 towards the total costs then we could get Oliver the surgery. Any additional money we could raise would go towards providing him with more physiotherapy or any equipment needed. Also visit the website to see the combined total of what we have raised in the UK and the USA. We've raised an incredible $43,000 between the U.S. and UK. Thank you everyone who has donated or helped! Even with the cost of the surgery going up because of the exchange rate we have enough money to pay for it and for lots of therapy. (Any addditional money will goes towards more therapy and equipment needed after the surgery.) We will never forget everyone's generosity and support. Our combined fundraising total between the U.S. and the U.K. is now at $35,000 (or £23,000 British Pounds) in only 4 weeks!!!! Thank you so much everyone for your support! Good luck with your surgery Oli! We'll be thinking of you in Sylvan Beach! You are an awesome young man. Hi Ollie...happy to help! I'm a friend of Grandmas at the beach!